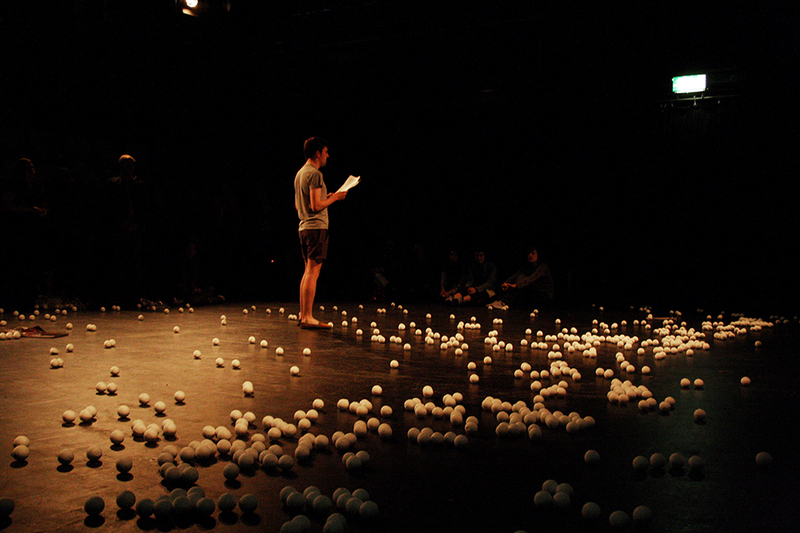 At the start of the performance Raging Balls, 1,000 balls were distributed amongst audience members by Ashery and Owen Parry, who asked one audience member at a time to throw the balls at them until there were none left. Ashery and Parry protected themselves with the aid of glossy, thick art magazines. 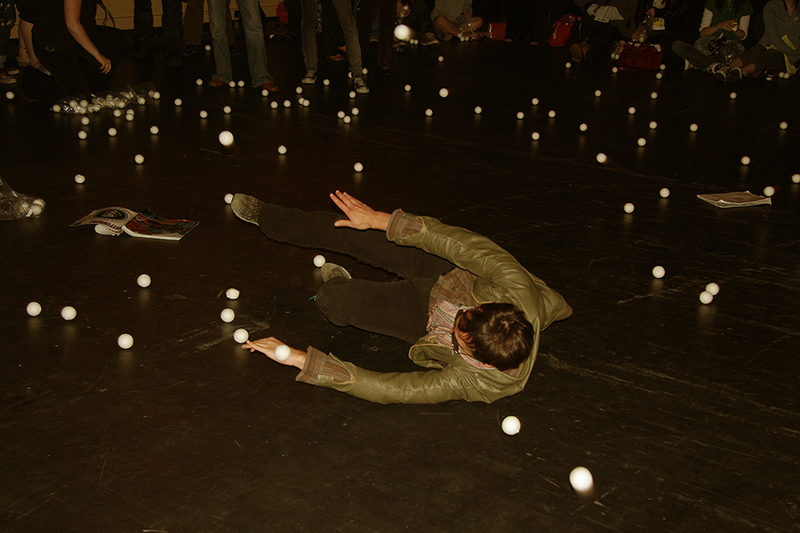 At a certain point, Ashery and Parry threw the balls back at the audience and left the space. 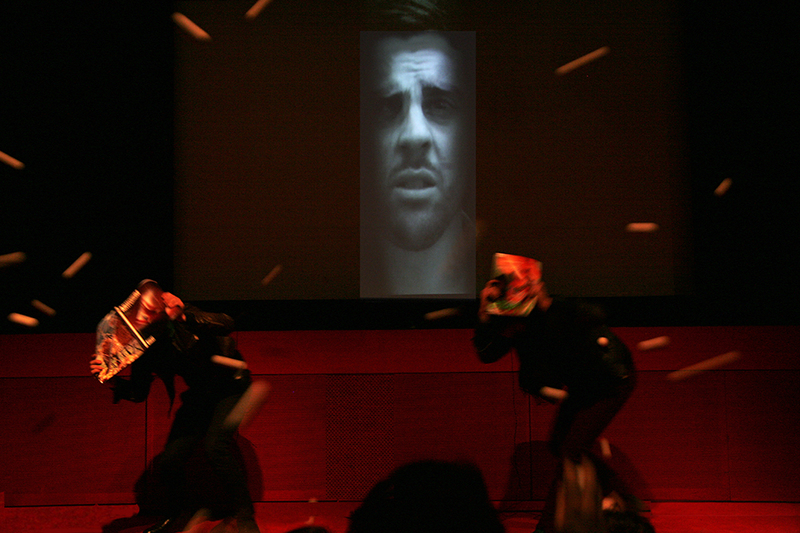 While the balls were thrown, an angry speech was screened, which was written and filmed by Ashery, performed by Chris McCormack and inspired by the artist David Wojnarowicz’s (1994-1992) potent diatribes. 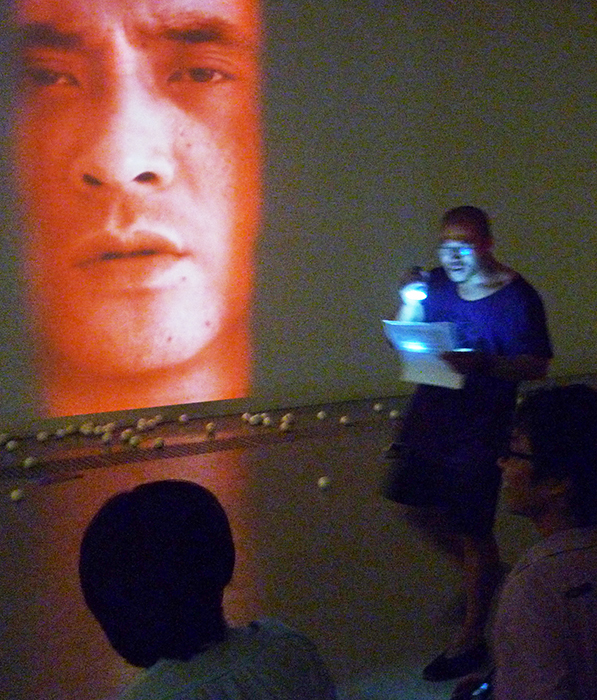 The speech is a rant that uses protest rhetoric about state control and the dilution of current political art practices. 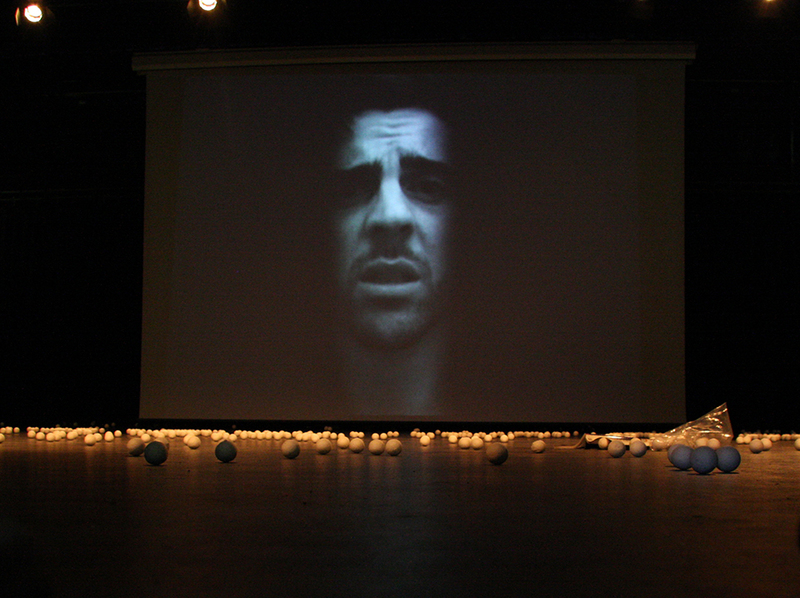 The video-speech was created in two layers – voice and image – which go in and out of sync. A third out-of-sync layer was provided by McCormack, who read the text out loud during the performance. Raging Balls was part of A Staged Dissent: Life is Interesting … When You’re Furious, a series of projects marking the fortieth anniversary of the wave of student protest movements that broke out in Paris 1968. Arts Centre, Loughborogh University, curated by Nick Slater, June 2008.